Its 9.15 in the morning and you are running late for work. You park your car and run to the ATM to withdraw some money. Its 9.15 in the morning and you are running late for work. You park your car and run to the ATM to withdraw some money. It's only been a couple of minutes but you come back and find just tread marks on the tarmac. Your car has been stolen! Stolen vehicles are a common thing all over the states and auto insurance is indispensable as far as covering your losses are concerned. According to the FBI's statistics, a vehicle is stolen every 25 seconds. The annual statistics are somewhere around 1.4 million stolen vehicles per year with California leading the board. There are a few ways to manage such a heavy and devastating loss, the most important being auto insurance. Report the theft of your vehicle to the cops and make sure you note down the report number of your case and the department where you filed the case. Make a note of the time and the place when you last saw your vehicle. List the model number of your vehicle, the year it was manufactured, the name of the manufacturer and the (if you have it) chassis number. 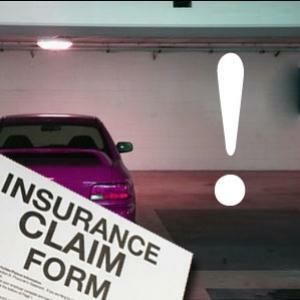 Even the color of the car is important for filing a claim. The more information you can provide the better. Include the stolen vehicle's tag number, license plate number and the Vehicle Identification Number (VIN). The next thing to do is call up your insurance company and systematically provide them with all the details you have just gathered along with your personal contact information. Once you are done with filing the claim, you can look over your policy to see if you are entitled to a temporary replacement vehicle (usually a rented vehicle under the âLoss of Use' clause). Insurance companies generally wait for around 2 to 4 weeks for the police to find the stolen vehicle. In case it is not found, then and only then will you be able to claim the actual cash value of the covered vehicle and buy a replacement vehicle. There is a slight chance that your insurance company might deny the claim or you might not have comprehensive coverage under your policy to protect yourself from theft. Here are a few measures that you can take to ensure extra security and a little peace of mind. Blend In - The flashier your vehicle is the more attention it will attract. Extra trimmings, rims and expensive sound systems will only facilitate in painting a target marker on your car. Try to blend in with the rest of the cars on the street. Don't project how expensive the vehicle is worth. Security features - Install security devices like a burglar alarm, a killswitch or an immobilizer. It will help to protect your car in different scenarios by either disabling the car itself or by alerting people about the situation. Tracking and identification systems - You can install newer features like the Microdot or the GPS Vehicle Tracking system to identify and locate your car in case it has been stolen. Each technology has its own unique functions to help in protecting your vehicle. Be vigilant - There is no mechanical or technological substitute for constant vigilance. Remember to turn off the engine and take the keys out of the ignition before you get out of your car, always lock your vehicle when you park even if it is for 30 seconds, avoid parking in high risk crime prone zones and don't leave your car parked outside overnight. Given that vehicle theft statistics have been steadily and significantly falling over the past few years, you might be feeling a little bit more secure about leaving your vehicle parked on the side of the road. Don't forget that carjackers are still out there and you could end up being a victim tonight.